Researchers at the library claimed to have unearthed a manuscript featuring a cleric by the name of Walter of Bingham whose travels to Scotland were recorded in the 12th century manuscript "Itinerarium Scotiae". The faded but now restored picture shows a hapless individual being dragged into the depths of Loch Ness by the monster. The full account can be read at this link. 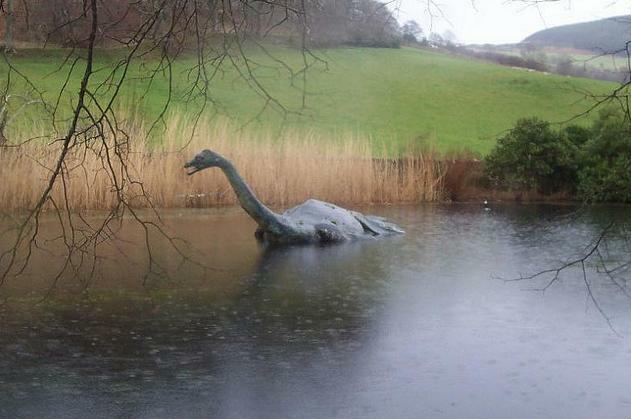 Before Nessie researchers jump up and down, you may want to note the date of the article. Tourism officials at Loch Ness made a shocking revelation today – the Loch Ness Monster is a creation of their marketing department. 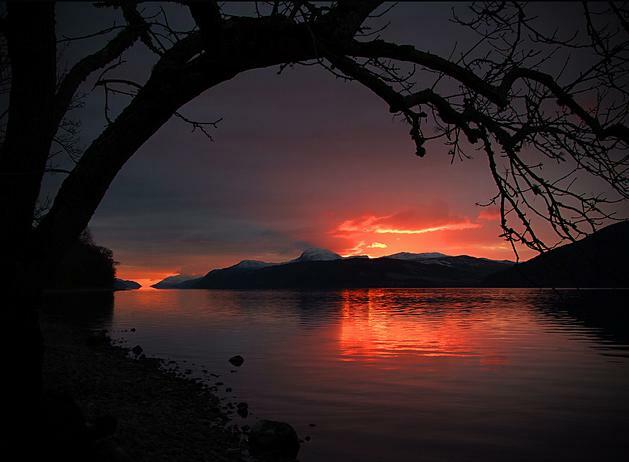 "It all started back in the early years of the 20th century," says Nigel Pratt, Public Relations Manager for the Loch Ness Convention and Visitors Bureau. "You have to remember that Scotland was very poor back then. Tourists generally went to vacation hotspots like Blackpool. It was tough to compete. "Highlander" hadn't come out yet so nobody knew the first thing about Scotland. They didn't know their haggis from a hole in the ground." On 1 April 1972, newspaper headlines around the world announced the dead body of the Loch Ness Monster had been found. A team of zoologists from Yorkshire's Flamingo Park Zoo, who were at Loch Ness searching for proof of Nessie's existence, had discovered the carcass floating in the water the day before. Initial reports claimed it weighed a ton and a half and was 15½ feet long. Upon inspection, Nessie turned out to be a bull elephant seal. The zoo's education officer, John Shields, confessed he had been responsible for placing the body in the Loch. 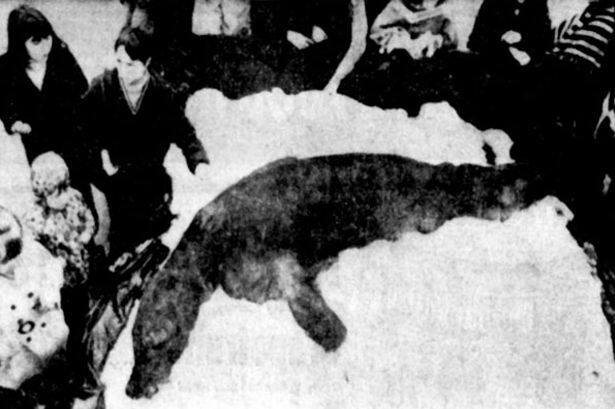 The seal had died the week before, and he had shaved off its whiskers, padded its cheeks with stones, and kept it frozen for a week, before dumping it in the Loch. The seal's body was displayed at the Flamingo Park Zoo for a few days before being properly disposed of. At the Flickr website, I came across two pools of photos. The first is dedicated to photographs of the loch itself (such as the one above) and is found at this link. The second pool is Nessie related photos such as things that relate to the story, things that could be mistaken for Nessie and some Photoshop jobs. This pool can be viewed here.